From 2001-2004 I worked with Minna Harjuniemi at the Student’s Theatre in Helsinki. Since then I’ve been working as a freelancer, with performances in the Finnish National Gallery, the Kiasma Theatre at the Museum of Contemporary Art and the Helsinki Artist Theatre, to name a few. My works crosses the boundaries between many artistic disciplines, and are often concerned with the unfamiliar, and with things we don’t understand or even notice. In recent times I’ve been epecially interested in the political side of the performing arts. During my Saari Residence stay I’ll work on the third part of my social trilogy, provisionally titled ”Kansallinen hanke – national project” . Aune Kallinen worked at the Saari Residence from January to March 2010. 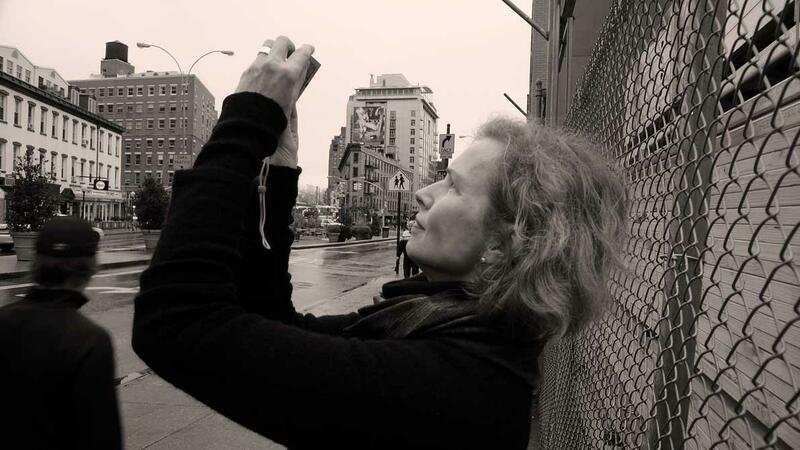 “I have worked as a visual artist form over thirty years. Although I trained as a painter, my work is comprised of installations and sculptures. I have a major exhibition coming up, which will include some older works of mine as well. I hope to get off to a good start on the new works for the exhibition while at the Saari Residence. My main task will be transforming some of my long-term ideas into a major new work. In addition, I will make the most of the freedom offered by the residency to sketch out the overall shape of my exhibition, and to plan and draft several new works. I feel sure the coming three months at Saari will give me the peaceful environment I need”. 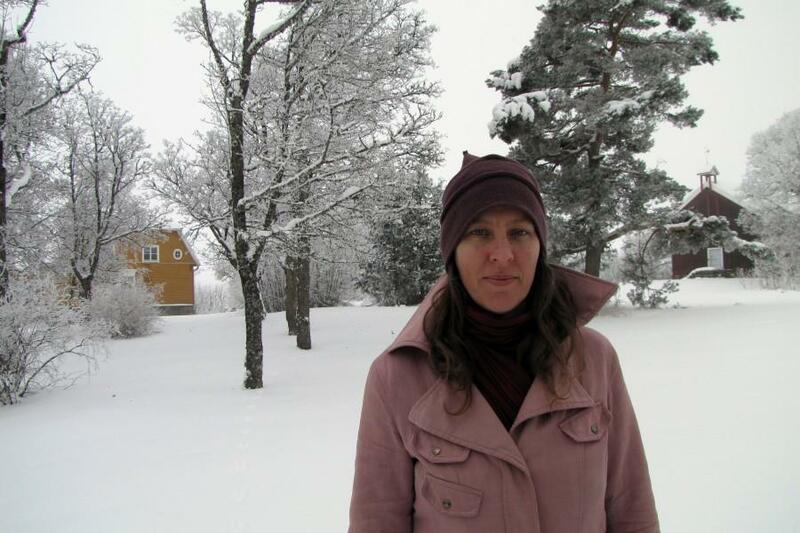 Marja Kanervo worked at the Saari Residence from January to March 2010. “I graduated as a theatre director in 1987, since which I’ve worked as a translator, playwright and director with several theatres throughout the country. For the past 15 years I have been a regular visiting contributor to The Finnish National Theatre, and have led the Quo Vadis theatre group founded by Markku Hoikkala and I in 1985. In recent years my life has been dominated by touring the world with Quo Vadis and our performance arena, a yurt built by Markku Hoikkala. My debut novel Matka Mundakaan (Journey to Mundaka) was published in 2003, and since that I’ve concentrated on writing drama. I’ll have three projects underway while at the Saari Residence. I’m doing a Finnish translation of Eugène Ionesco’s 1949 play La Cantatrice Chauve (The Bald Soprano) for Espoo Theatre. I’m also co-writing, with Markku Hoikkala, a political-poetical play entitled Lastentarha (Playschool) for the Quo Vadis theatre group’s autumn programme. Finally, I’ll work on a novel about fathers and daughters, provisionally entitled Tyttö Tuli! (It’s a Girl!). The novel is based on a play of mine by the same title that first showed at the Finnish National Theatre in 2009. Many of the scenes in the play read so well that I decided to see how well the drama would work when transformed into prose. As with the play, the novel explores the relationship between a father and his daughter, and takes place in a car en route to someplace from home. Since they’re temporarily removed from the surrounding world, there’s nothing else to do on the journey than chat. The father’s having to keep his eyes on the road also makes it easier to say things that are usually left unsaid, and indeed this theme of being able to articulate what is normally avoided is emerging as a major theme of the book. The intense calm of the environment at the Saari Residence and the opportunity to either be alone with one’s thoughts, or to occasionally share thoughts with the other residents is ideal for me”. Otso Kautto worked at the Saari Residence from January to March 2010. “My research in this wonderful Saari Residence is connected with strange and hidden topic of Socialist Realism in Estonian art context. 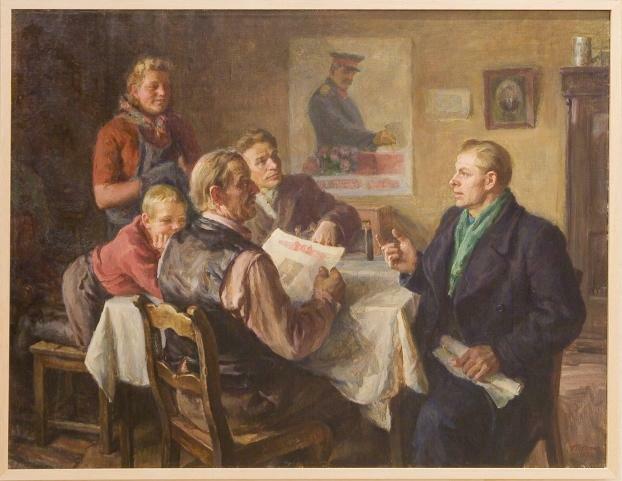 Here is a painting from my favourite artist Roman Treuman (1910–1962), small piece called Agitator Amongst the Voters, 1952. Eha Komissarov worked at the Saari Residence from January to March 2010. “Hiekkalaatikko teoria” (The Sandpit Theory) is a long-term project I’ve been working on, and I will continue developing it during my stay at the Saari Residence. Along with video I work with photos, sculpture, installations, performance, and text. The Sandpit Theory is also cross-disciplinary, and used gentle humour to explore intolerance and human ontology, what it is that makes us what we are”. Heli Konttinen worked at the Saari Residence from January to March 2010. 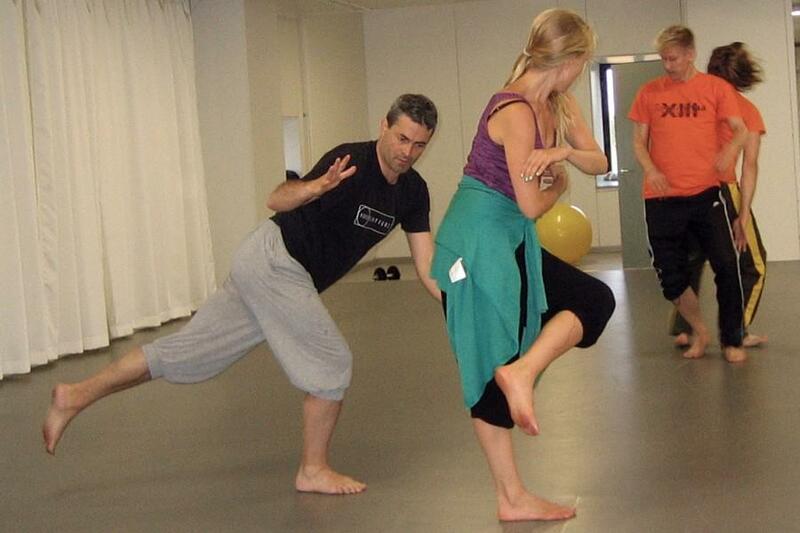 “I graduated as a juggler and circus artist from the Arts Academy at Turku University of Applied Sciences in 2005. 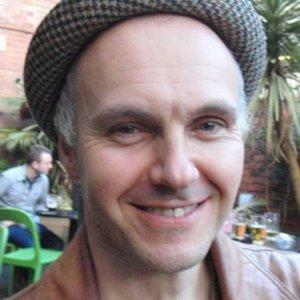 I have been in the profession since 2001, and in addition to performing in theatre and at a wide variety of festivals and other events I have worked as an instructor on various projects, both in Finland and further afield. I did postgraduate studies in physical theatre at the Ecole Internationale de theatre Jacques Lecoq in Paris in 2007–2008. In my work I explore and try to extend the possibilities for non-verbal communication in theatre and circus. The project I’m working on at the Saari Residence is a solo performance on the theme of addiction, which will be premièred in late 2010 in Turku, at the Dance and Performance Art Association’s Kutomo venue”. Sampo Kurppa worked at the Saari Residence from January to March 2010. “I did my training in music and theatre in Helsinki, at the Sibelius Academy and the Student’s Theatre. I’ve done a wide range of compositions, arrangements and sound design with Circus Maximus and Helsinki Artistic Theatre (Helsingin Taiteellinen Teatteri), and have also done a lot of performing and teaching. At Saari Residence I’ll plan, practice for and compose a piece to be premièred in autumn 2010, provisionally entitled Kansallinen hanke – National Project”. Laura Murtomaa worked at the Saari Residence from January to March 2010. 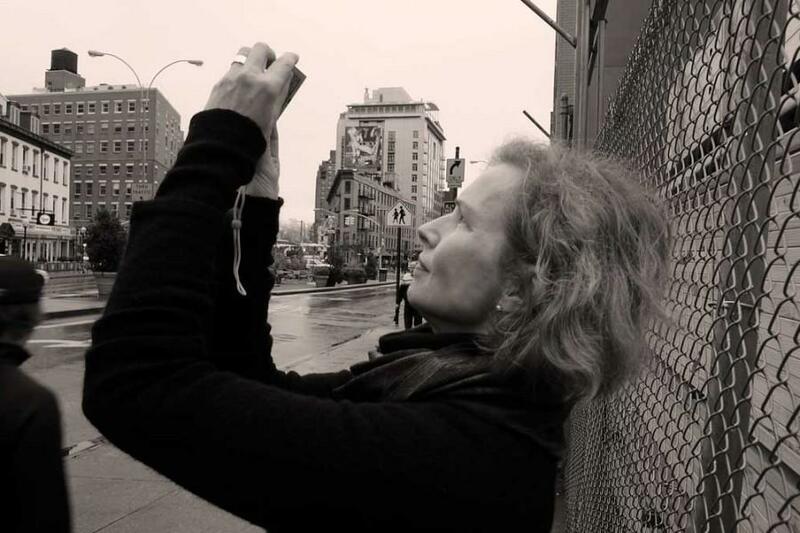 ”Since 1985 I’ve worked as a scriptwriter, journalist and director on documentary films, in partnership with Kanerva Cederström. I started writing seriously about ten years ago, and so far I have two books to my credit. Linda kulkee keskellä tietä (Linda Takes the Middle of the Road) was published by Tammi in 2005, and Käheä-ääninen tyttö (Husky-voiced Girl), co-written with Tuula Lund, was published in 2009, also by Tammi. Riikka Tanner worked at the Saari Residence in the beginning of the year 2010. 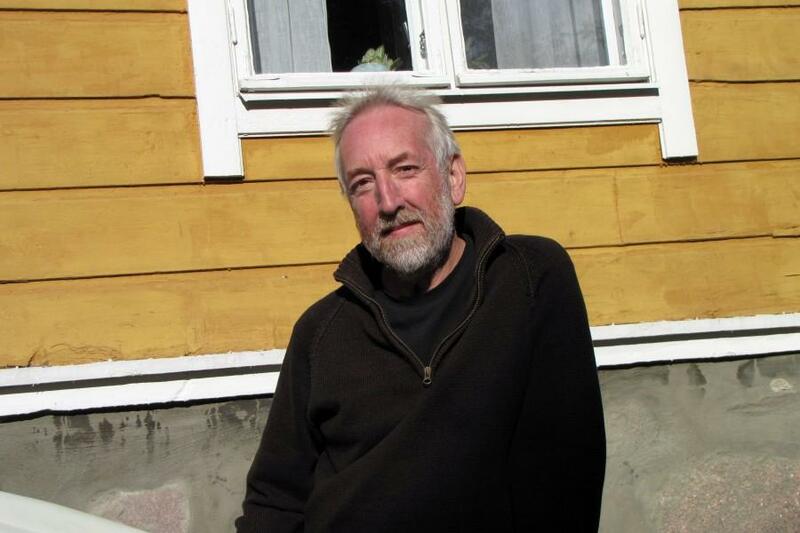 Einari Aaltonen is a Turku-based translator who has published over 40 prose, lyrica and non-fiction translations with various Finnish publishers. During his stay at the Saari Residence he completed his translation of Lebanese-born, Canada-based writer English-language novel Cockroach. It will be published by Like Kustannus in autumn 2010 as Torakka. Hage’s debut novel De Niro’s Game received much international attention, and amongst other things won the IMPAC Dublin literature prize. A Finnish translation was published by Like in 2009. 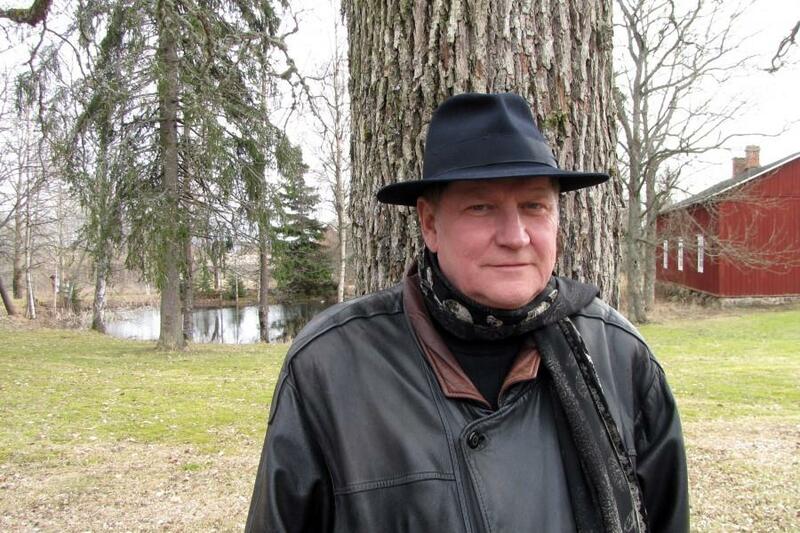 After Cockroach, Aaltonen began work on a Finnish translation of Spanish novelist Pablo Tusset’s Sakamura, Corrales y los muertos rientes (Sakamura, Corrales, and the Laughing Dead), which will be published in autumn of 2010 as Nauravat vainajat by Sammakko Publishing House. Sammakko has previously published two well-received translations of Tusset’s earlier novels, Parasta mitä voisarvelle voi tapahtua (Lo mejor que le puede pasar a un cruasán/The Best Thing That Can Happen to a Croissant), and Sian nimeen (En el nombre del cerdo/In the Name of the Pig). Aaltonen has also translated Scottish novelist Hal Duncan’s Ink, the follow-up to his acclaimed 2005 debut Vellum. 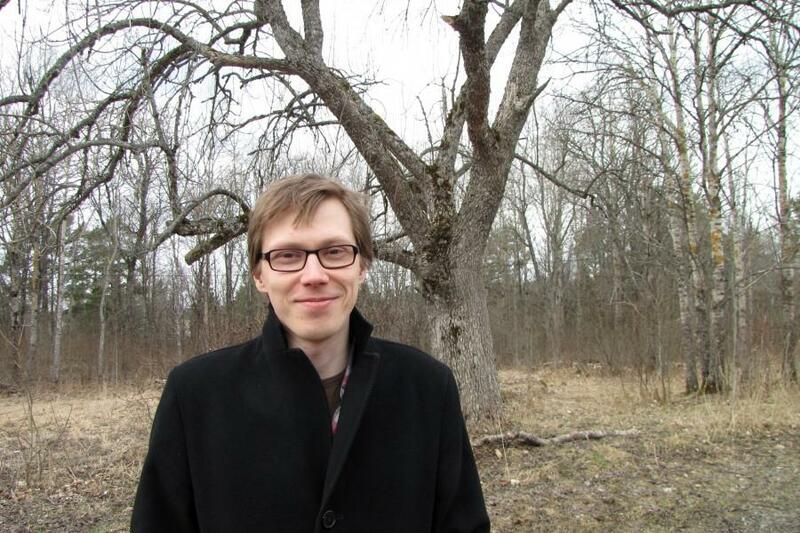 Aaltonen’s translation, done with Nina Saikkonen, the translator of Vellum, will be published in autumn 2010 as Muste. ”My stay at the Saari Residence was enjoyable and broadened my horizons. On my morning walks I frequently came across white-tailed deer and lazy rabbits, and squirrels and swans in nostalgic poses. The atmosphere was really inspiring: translation is not simple philological tinkering but a search for efficacious solutions and choosing between them”. 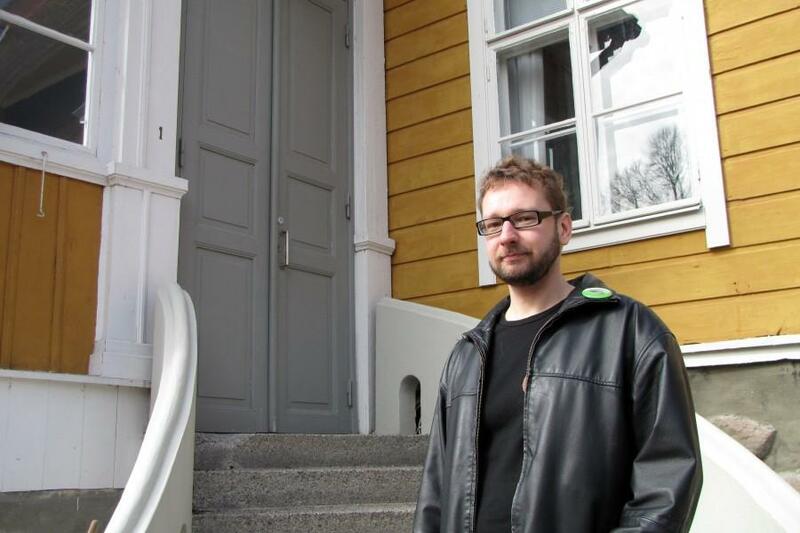 Einari Aaltonen worked at the Saari Residence in April and May 2010. My works are often inspired by impossible ideas that have become close to possible through thought and research. Such ideas present artists with an ideal opportunity to apply hazy logic at the points where art and science interact. What would a black hole between two people be like? How could sunrise and sunset be speeded up by a minute? I try to strip down these kinds of problems to their bare essentials and to present the solution as a model that suggests a possible reality. On the surface my works often make reference to the instruments, history and natural phenomena of science, but at the heart of my method is problem solving. Natural science and history are full of problems from a human perspective. Petri Eskelinen worked at the Saari Residence in April and May 2010. “I graduated as a sculptor from the Institute of Fine Arts at Lahti University of Applied Sciences in 1999. I continued my studies at Taideteollinen korkeakoulu [now the Aalto University School of Art and Design], and graduated from there in 2007. Since 1999 I have my work has featured in many group and shared exhibitions. At the Saari Residence I will prepare works for an exhibition in autumn 2010, which will be my first solo exhibition. The works will be exhibited at Varikko Galleria in Seinäjoki in Southern Ostrobothnia, and at Galleria Huuto in Helsinki. The exhibitions will be held consecutively, first in Seinäjoki and then in Hesinki. For the exhibition I am making small sculptural pieces, mainly of wood. The working title of the exhibition is Oloja ja Tiloja (Feelings and Spaces). The pieces will be like outtakes from a diary, snapshots of feelings captured in a particular moment in a particular space or place. Their focus is my lived and experienced surroundings and architecture. Feelings and transient states of mind affect the form of the works and the spaces they inhabit. In addition to sculptures I am preparing a series of watercolour and felt pen paintings, which are concerned with the same general themes”. Ville Mäkikoskela worked at the Saari Residence in April and May 2010. Risto Oikarinen is a poet and saxophonist from Kajaani. 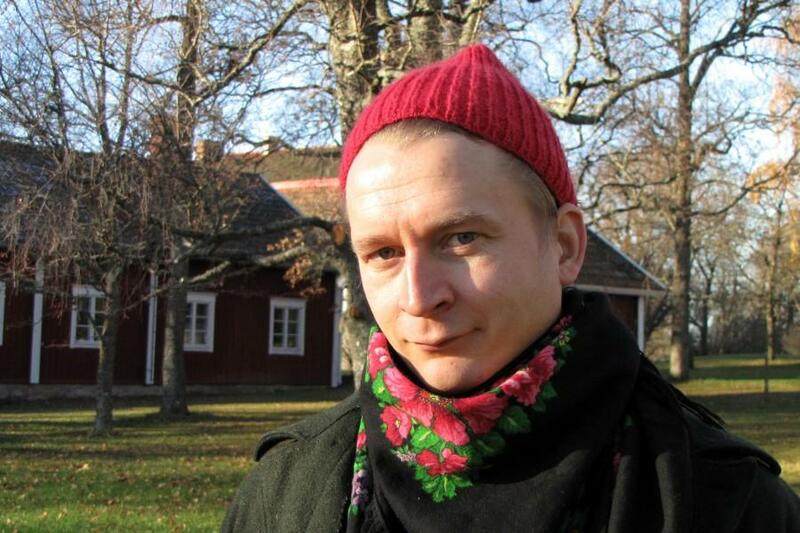 His debut poetry collection Puupuhaltaja (Woodblower) was published in 2005 by Otava, and the follow-up, Katumusharjoituksia (Rehearsals in Regret), was published in 2008 by Gummerus. 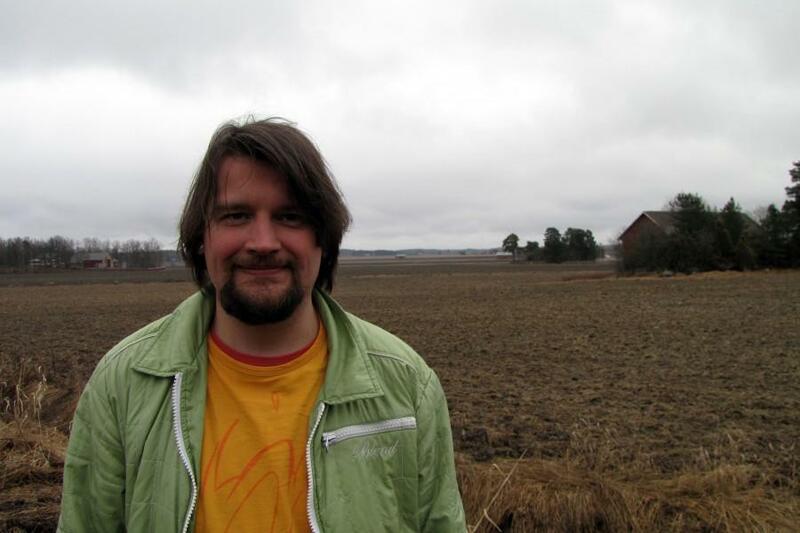 He won the Eino Leino anniversary poetry competition in 2003 and the Kalevi Jäntti award in 2005. At the Saari Residence he worked on his third poetry collection. Oikarinen esiintyy aktiivisesti ja yhdistää runoesityksiinsä saksofoni-improvisaatioita. Hänen triossaan Oikarinen, Pohjola & Riippa soittavat myös trumpetisti Verneri Pohjola ja rumpali Joonas Riippa. 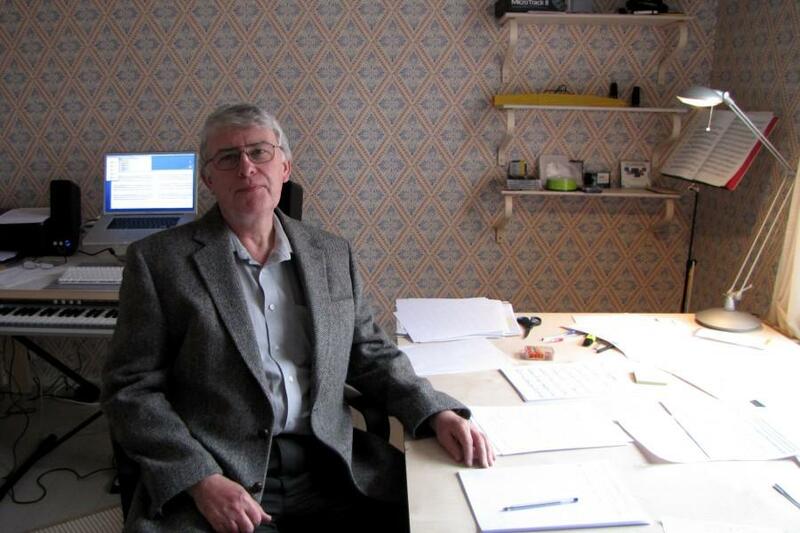 Risto Oikarinen worked at the Saari Residence in April and May 2010. Hanna Pajala-Assefa is a choreographer, dancer and producer. She is the founding member of MAD Productions, where she currently works as a choreographer. In her work Pajala-Assefa seeks answers to everyday questions, and explores her surrounding environment through movement and dance. Her location-specific work Näyttö (Showing Adaptations) has been shown to widespread critical and public acclaim throughout Finland and in several other countries. 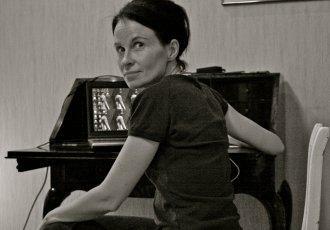 “My recent works have short dance movies, some of which I have choreographed and directed myself and some of which were done in my role as artistic director at Loikka Dance Film Festival. At the Saari Residence I will work on a new stage production, and will also work on a new dance film”. Hanna Pajala-Assefa worked at the Saari Residence in April and May 2010. 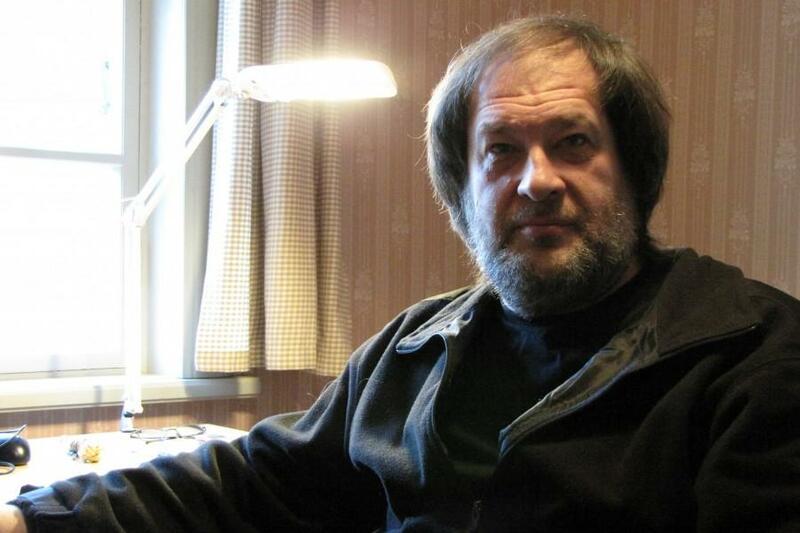 Journalist Risto Repo is a veteran of Finnish print and electronic media who has worked as special correspondent from Warsaw (1979–83), Moscow, (1988–1992), Stockholm (1997–2000, 2000–2005 as Press Counsellor at the Embassy of Finland), and Beirut (2005–2007). Most recently he has worked with Suomen Kuvalehti current affairs magazine and with national broadcasting company Yleisradio. Repo is working on a biography of his father Eino S. Repo (1919–2002), who was an influential and controversial figure in Finnish cultural politics during his time as director of Yleisradio (1965–1969). Repo, a dominant figure at the organization, was part of the inner circle of an even more imposing figure in the country’s recent history, then-President of Finland Urho Kekkonen. “The book is an attempt by an eldest son to come to terms with his father’s decisions “in love and war”. It is naturally a personal account, and takes a thematic approach to exploring Eino Repo’s most difficult personal and professional moral choices. Our family doctor during the war years gave perhaps the most accurate summation of the central character of the book in the following remark made to him: “I envy your ability to go with your feelings regardless of what your brain tells you”. Risto Repo worked at the Saari Residence in April and May 2010. “I was born in Glasgow, Scotland’s biggest city, which once made steam locomotives and ships for the whole world. I studied there and in London as a clarinettist, gradually became a composer and lately turned to academic work in the Department of Music at the University of Glasgow. I am here at the Saari Residence to put the finishing touches on a Sonata for Cello and Piano. I began the work in collaboration with the fine Scottish cellist, Robert Irvine and will complete the process with the wonderful Finnish cellist Erkki Lahesmaa. Erkki will give the first performance in Glasgow in October this year and Robert will come to Turku to give the first performance in Finland in November. They will also play together an existing piece of mine Tree o’ Licht (Tree of Light). The title is an old Scots way of referring to the silver birch tree: no shortage of them around Saari Manor! – and no shortage of light, air and peace think things through. 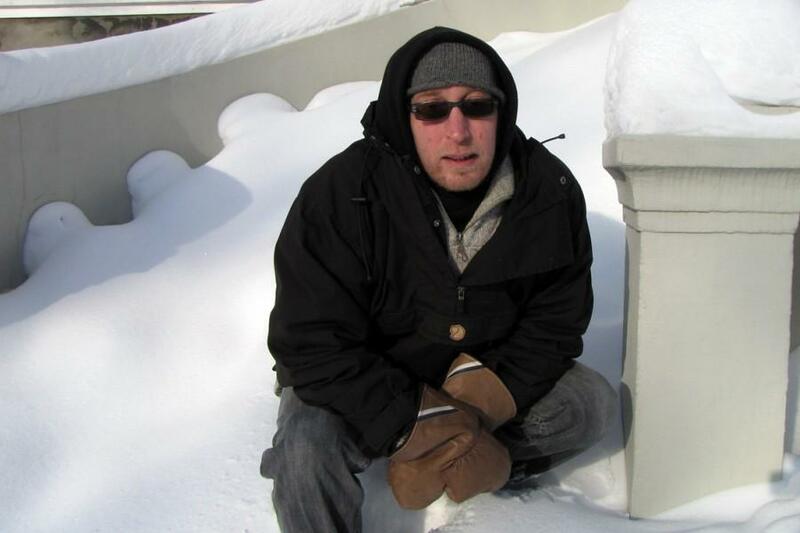 William Sweeney worked at the Saari Residence in April and May 2010. The historic building of Saari contain so many stories, that I want to work with this certain place and create a site-specific work for the place. Also the special nature will take a part in drawings and video works. The video Adriane made in Saari can be watched here. Adriane Wachholz worked at the Saari Residence in April and May 2010. Ranskanperunat (French Fries) is a group of translators and editors of French work into Finnish. 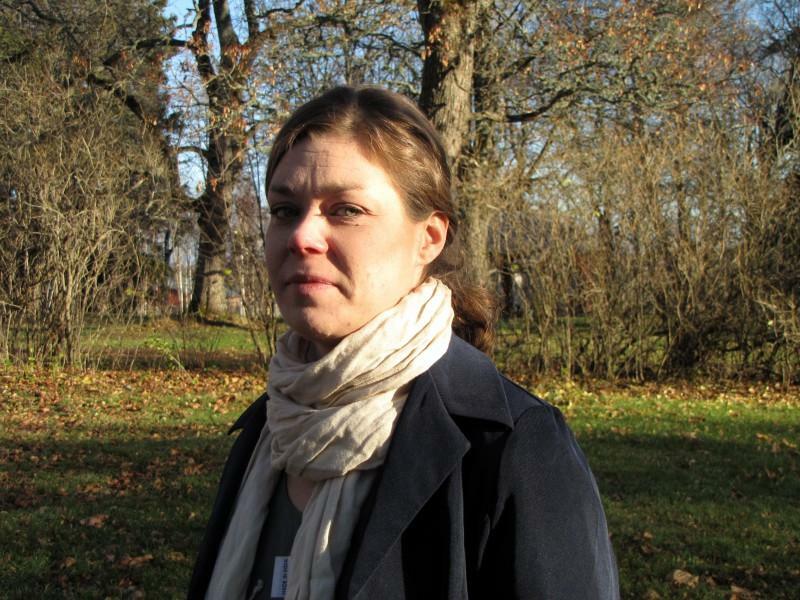 Tiina Arppe’s area of expertise as a translator into Finnish is French philosophy and sociology. Reita Lounatvuori is well established as a translator of plays, and Titia Schuurman and Anna-Maija Viitanen translate general fiction and non-fiction. Copy editor Aino Rajala is also part of the group, as is Saara Pääkkönen as a translator of comic books and also as an editor. “The one-week stay at the Saari Residence gave us the rare opportunity to become further acquainted with specialized areas, to learn from each other, and to gain new perspectives with which to develop our own work. At Saari we did planning work on the following translations: David Le Breton’s Anthropologie du corps et modernité, Marie Ndiaye’s play Hilda, Claudie Gallay’s novel Dans l’or du temps, and the novel Léon l’Africain by Amin Maalouf. We also collaborated during our stay with three guests, adjunct professor of translation studies Outi Paloposki and translators Antti Nylén and Annikki Suni”. Ranskanperunat worked at the Saari Residence in summer 2010. The workgroup is comprised of Miki Brunou, Rea-Liina Brunou, Raimonda Gudaviciute, Elina Häyrynen, Saara Junttila, Ahto Koskitalo, Elina Räisänen, and Jukka Tarvainen. Our still-to-be-renamed workgroup is comprised of Miki Brunou, Rea-Liina Brunou, Raimonda Gudaviciute, Elina Häyrynen, Saara Junttila, Ahto Koskitalo, Elina Räisänen, and Jukka Tarvainen. 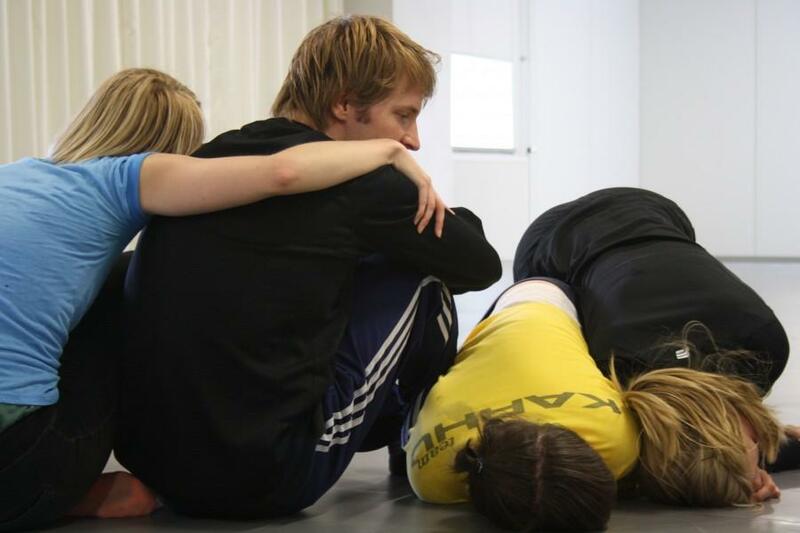 It contains seven recent dance graduates of Theatre Academy Helsinki and one sound designer. Our aim during the ten-day stay at Saari Residence was to complete the score for our new dance piece. The themes of the work are relationships of dependence, the borders between normal and compulsive behaviour, rituals, and the individual’s possibilities for action for his or her own benefit within the community. Our aim was also to investigate rituals as part of our culture, and their effects on individual behaviour. The next phase in developing the piece is developing the choreography that will accompany the score. Since the group members are dispersed throughout Finland and Europe, our next gathering is unlikely to take place before spring 2011. At that meeting we will plan the completion of the work over the late summer and autumn of 2011. The progress of the work can be followed on our blog at www.realiinabrunou.blogspot.com. Entinen TADaC09 -workgroup worked at the Saari Residence in the summer of 2010. “Metsästäjät (Hunters) is comprised of Heini Aho, Sirkku Ketola and Tamara Piilola. Our search is for the truth and pure-hearted greatness of the visual arts. Our aim is to produce an inquisitive and challenging synthesis by 2013. That year we will to hold an exhibition that we are planning during our stay at the Saari Residence. We are currently searching for interesting perspectives and are inviting art theorists, museum experts, creative philosophers, poets, and perhaps others to share their thoughts on visual arts with us. Apart from mutual friendship, Metsästäjät is also united by a shared intensity in how we relate to our work. Because we are all busy with our own separate projects, we’re very grateful to Kone Foundation for facilitating work on this large-scale shared project”. Metsästäjät (Hunters) workgroup worked at the Saari Residence in the summer of 2010. 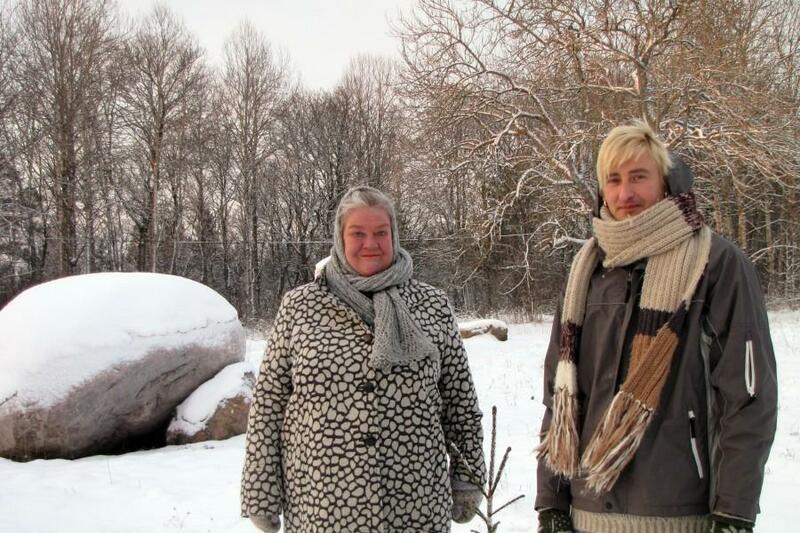 In July 2010, Theatre Quo Vadis set up their yurt at the Saari Residence for the second time. During its stay at the Residence, the theatre finalized the plays Quo Vadis Poetica vol. 2 and Where is Mama? and began the productions Lastentarha (Kindergarten) and BurningBurning. 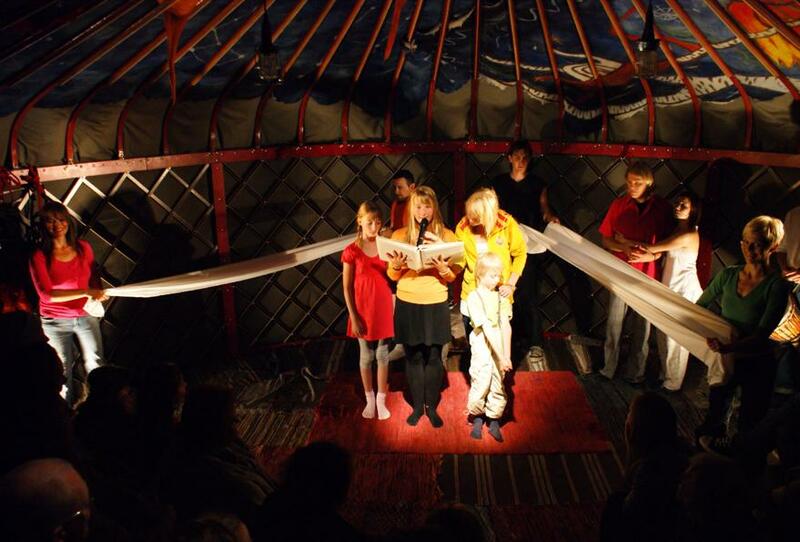 The theatre also created two laborious and time-consuming costumes by hand at the Residence, revived some older productions for the Volter Kilpi Kustavissa literature week, and also took care of the yurt’s yearly maintenance. Quo Vadis is a theatre founded in 1985 that is known and recognized for its original, professional and iconoclastic creations. Quo Vadis was named the top cultural export project in 2009. The theatre tours Finland and the world with its entire theatre space, a modern yurt designed and built by the poet/carpenter Markku Hoikkala. A combination of Asian tradition and Finnish carpentry, the structure is a work of art in itself. As a theatre space it is focalizing and dismantles the performer/audience divide of performance traditions. Quo Vadis worked at the Saari Residence in the summer of 2010. “Our workshop, which will have an environmental theme, will be a dialogue with the natural surroundings of the Finnish archipelago conducted through modern art. We will consider the loss of diversity among species, the transformation of the archipelago and the expansion of reeded areas, amongst other matters. 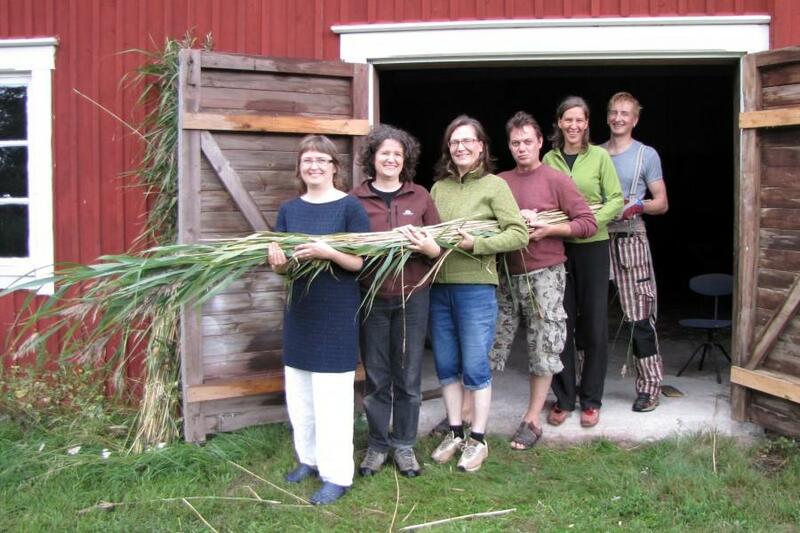 The workshop will also include lectures by professor of horticulture Carl-Adam Hæggström, university lecturer Outi Tuomela, who is an expert on reeds, and art theoretician Tanja Uimonen. Apart from work at the Saari Residence, the workshop will also involve a trip to the Åland archipelago and to the LUMO natural materials bank in Koroinen, Turku. Our overall aim with the workshop is generative creative impetus for our shared exhibition, which will be held on Åland and in which the primary material used will be reeds”. 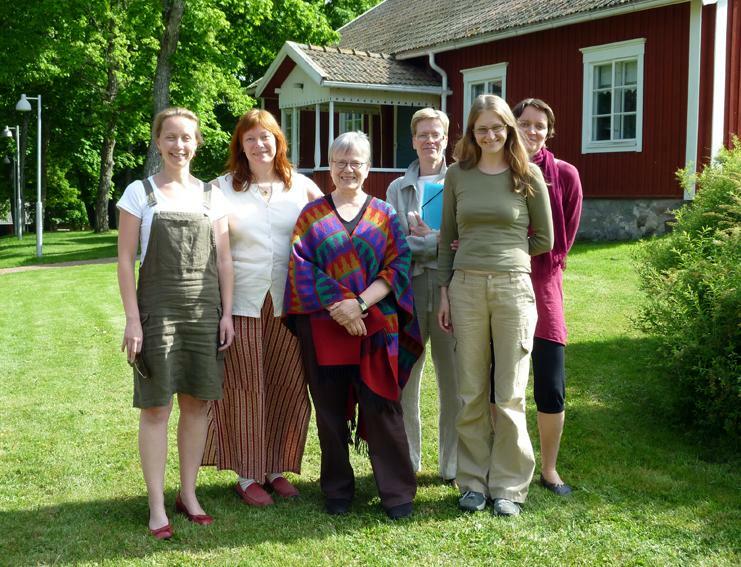 The group worked at the Saari Residence in the summer of 2010. In addition to myself, work on the pictorial screenplay and production planning of the piece at the Saari Residence will be production assistant Jenni Aaltonen, camerawoman Joona Pettersson and programmer Jakke Kastelli. Marita Liulia worked at the Saari Residence in summer 2010. 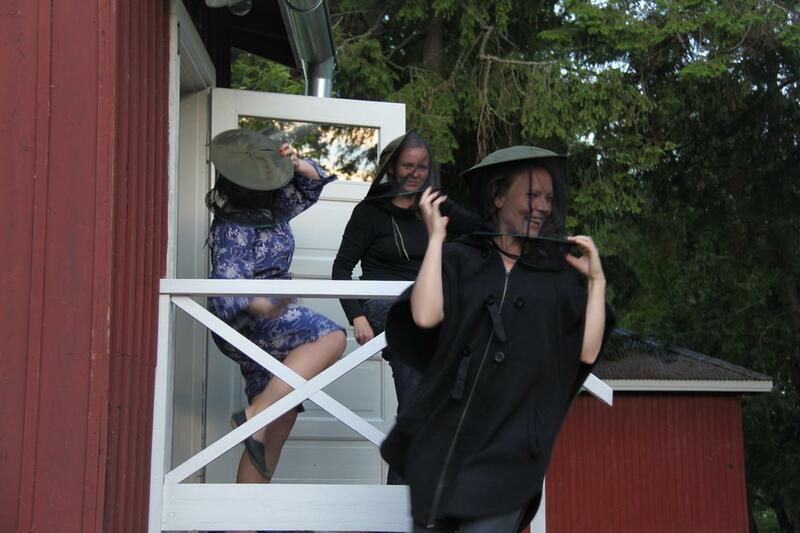 “At Saari Residence I will be working with Soile Lahdenperä, Anni Rissanen, Riikka Theresa Innanen, Nina Viitamäki, Giorgio Convertito, Janne Aspvik and Tomi Humalisto on a dance work to be called Drómos – liikkeen jälki (Drómos: The Imprint of Movement). The work done during those ten days will set the foundation for the overall work, and rehearsals will continue in the autumn in Helsinki. The performances will take place in early December in the Tennis Palace Art Museum in Helsinki, as part of the exhibition Peekaboo – Uusi Etelä-Afrikka (Peekaboo: The New South Africa)”. Soile Lahdenperä and the workgroup worked at the Saari Residence in the summer of 2010. The four day camp of the Alvilda in Abo group at the Saari Residence was the opera production’s first intensive work period. To begin, the production team prepared the production’s stage settings and a specified work plan for the eleven months to follow. Becoming acquainted with the musical score was next in line. This was done with the soloists and clowns by singing arias. Improvised dance rehearsals helped us to explore the spirit of the story. We also sought the baroque spirit in character performances in the cellar of the main building. This all was balanced out with an ambience reminiscent of Sibelius and the observation of the fall migration of geese from the shore’s bird tower. This opera, L’Amazzone corsara, overo L’Alvilda Regina de’ Goti (The Pirate Amazon Alvilda, Queen of the Goths, 1692) by Carlo Agostino Badia, which had laid hidden in the archives for 319 years, now rose valiantly to catch wind in the focused atmosphere of the Saari Residence. The premiere of the Alvilda opera is on 5 August, 2011 at the Turku Castle. The opera is part of the programme of the Turku Music Festival and Turku’s year as the European Capital of Culture. Title roles are played by Mari Palo, Riku Pelo, Kaisa Ranta, Teppo Lampela, Anneliina Koskinen, Jussi Merikanto, and Sören Lillkung. The opera is directed by Ville Sandqvist, conducted by Anssi Mattila and choreographed by Kirsi Saastamoinen. Other important members include Tuomas Lampinen (costumes), William Iles (lights) and music is provided by the Finnish Baroque Orchestra. The dancing clown group is comprised of Riku Nieminen, Oula Kitti, Jenni Kitti, Maria Kananen, Jonna Aaltonen, and Jukka Tarvainen. The producer is Liisa Mattila (Oopperakammari ry. 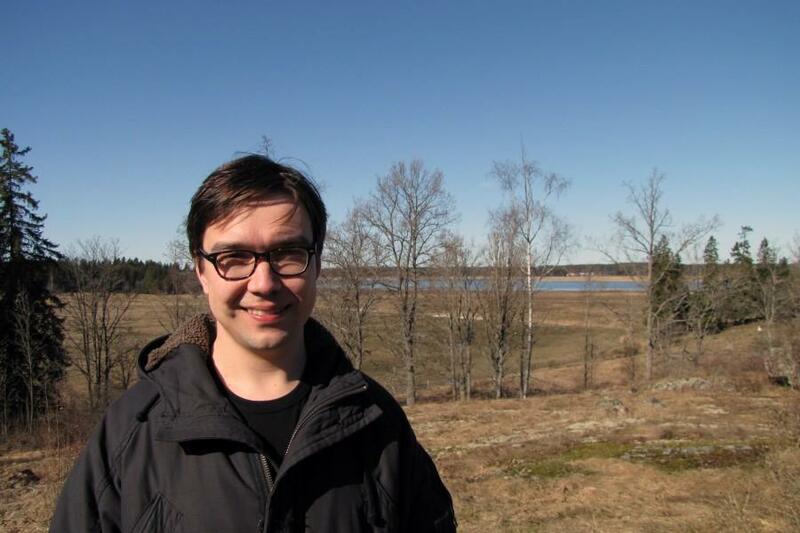 / Kulttuuridynamo) and background research is coordinated by Totti Tuhkanen from Turku University. Oopperakammari ry worked at the Saari Residence in the summer of 2010. 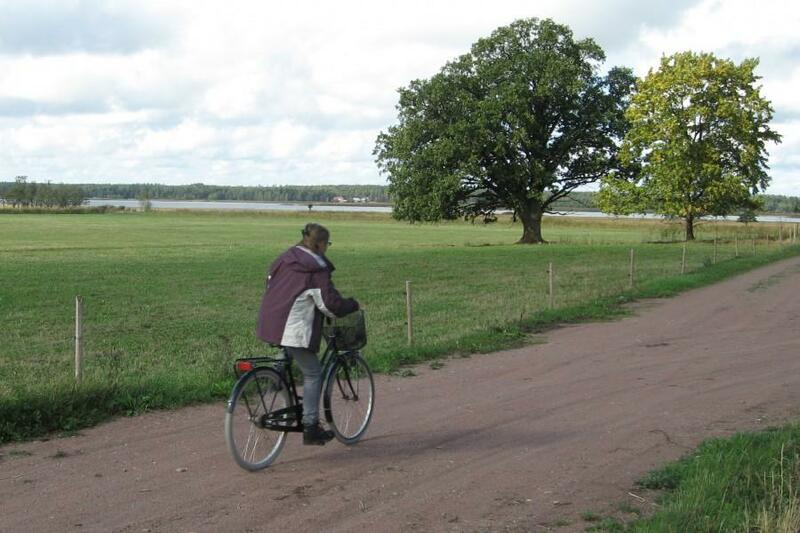 “My work at the Saari Residence began with getting to know the area, which in practice meant walking and cycling tours of the surrounding countryside every day. I’ve become familiar with the wooded areas skirting the fields, with their old oak trees. During my walks I’ve started to link the oaks in certain areas together with woollen thread. I then collect the wool and crochet it into a route map I’m making of the area. This is one of the ways in which I’m developing methods of measurement during my stay at Saari, methods that are based on subjective experience of one’s environment. Niran Baibulat worked at the Saari Residence in September and October 2010. I am a media artist, sculptor and researcher at Crucible Studio, Aalto University School of Art & Design. I collaborate with my wife, Merja Puustinen, and our works can be seen at http://andyandmerja.com. During my time here at the Saari Residence, I will be working on a number of projects as well as doing technical research and development. Merja and I have started a collaboration with Jaakko Nousiainen and Miika Hyytiäinen to develop a Wagneresque Gesamtkunstwerk combining contemporary opera, video, performance, robotics, audience participation….This is an exciting project with many possibilities opening up! We have worked with Jaakko and Miika before, creating stage sets for their chamber operas Kaappi and Rakkaimpani presented at Aleksanterinteatteri. Last year I won a competition to design an art work for Helsingin Energia with my proposal Power Flower, a kinetic sculpture that reacts to the overall energy consumption in the city and changes shape and colour accordingly. 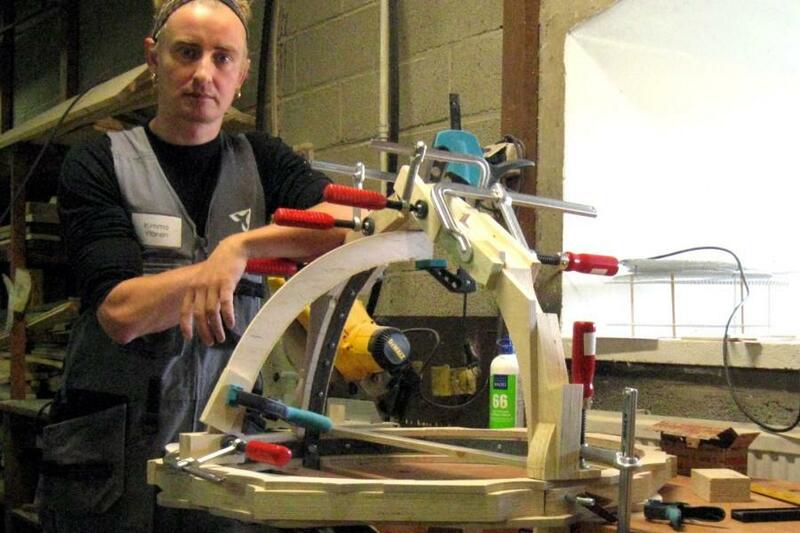 I am currently working on a small prototype which will be on view to the public during “energy saving week” in October. We are now going forward with plans for the “big” outdoor version of Power Flower! I am also using my time here to investigate and develop various techniques that Merja and I utilise in our interactive art works. For example, wireless communication between a number of remote sensors is one of my tasks. I am also developing a small robot chassis and framework for autonomous “artbots”, as well as learning how to programme animations to LED matrices. Andy Best worked at the Saari Residence in September and October 2010. “During my period of residence at Saari I worked on my dance installation Hurmiollisessa tilassa (State of Trance) with two dancers. The work was premiered in Zodiak in Helsinki on 7 October 2010. At the Saari Residence I also worked on adapting my earlier piece Kraft (Power) for fourteen dancers instead of the original seven. I my work I explore the maximal use of physicality and energy in movement in nature, and how the flow of energy through the limbs transforms the visible surface of the body. Cooperation across different artistic fields is something that is very close to my heart, and for that reason working with the other artists at the Saari Residence was an extremely valuable and inspiring experience”. 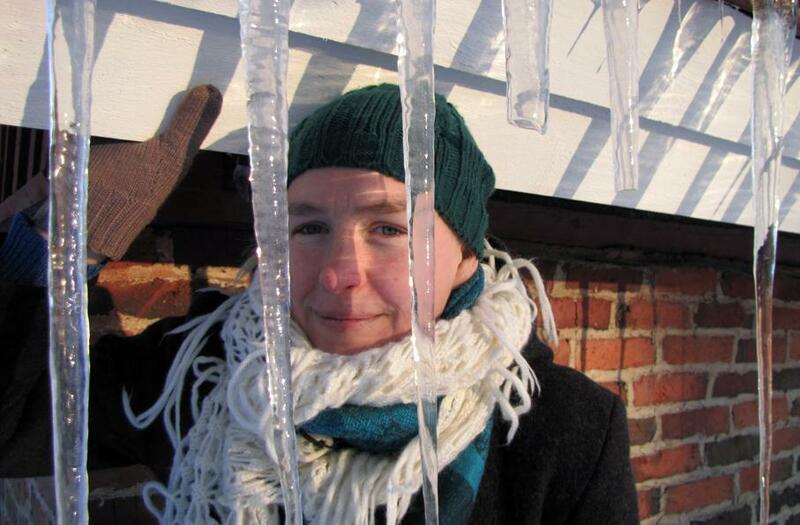 Ulla Koivisto’s interview about her work. 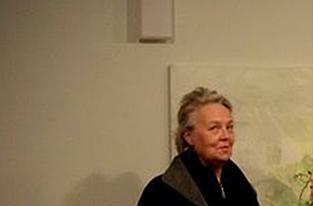 Ulla Koivisto worked at the Saari Residence in September and October 2010. “I’m a writer, a poet and artist working with plants. I came to Saari to edit my forthcoming book about living deliberately (as Thoreau writes) in an oakwood in the west of Scotland. The fact that very close to Saari is the perfect small oakwood of Tammimäki was an irresistible temptation. Now that the intervening trees have dropped their leaves, I can see the treetops of Tammimäki when I look up from writing. I’ll be adding my experiences of Tammimäki and other oakwoods like Ruotsalainen in the Turku archipelago to the book. More editing and more work, but so enjoyable! My time at Saari has been characterised by fruitful working and good company. Ideas for other projects have come thick and fast and have been squirreled away until they can be realised. One such project will come next year however: I’ll return to Saari to oversee one of my planting works: A Place Set Apart: a circular hedge enclosing a space that can only be entered by birds or small animals – there is no opening for human passers-by. This reflects (among other things) the private space that the Saari Residences offer artists, undisturbed yet free. It echoes too the wetland reserve for migrating and nesting birds in Mietoistenlahti that adjoins Saari. 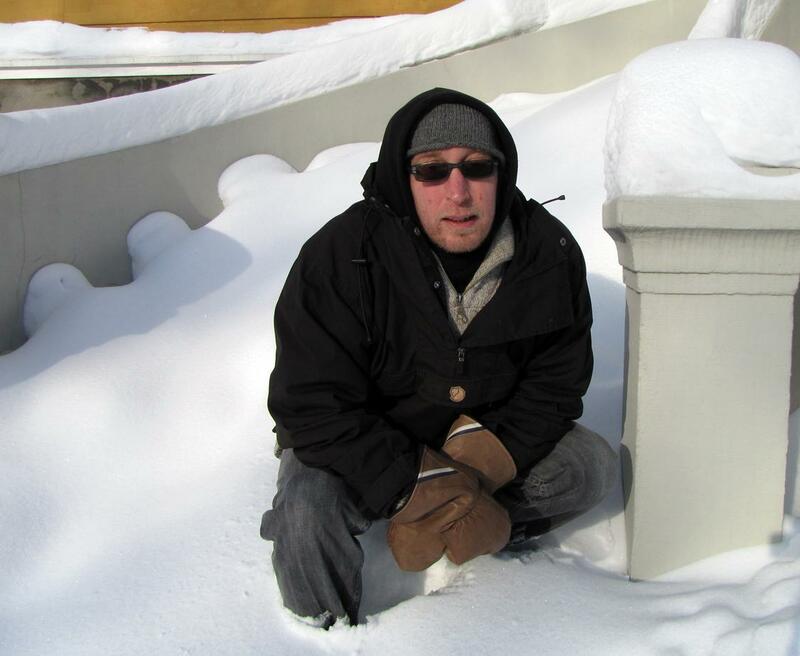 Gerry Loose wrote a blog called Saari seasons during his stay at the Saari residence. Gerry Loose worked at the Saari Residence in September and October 2010. 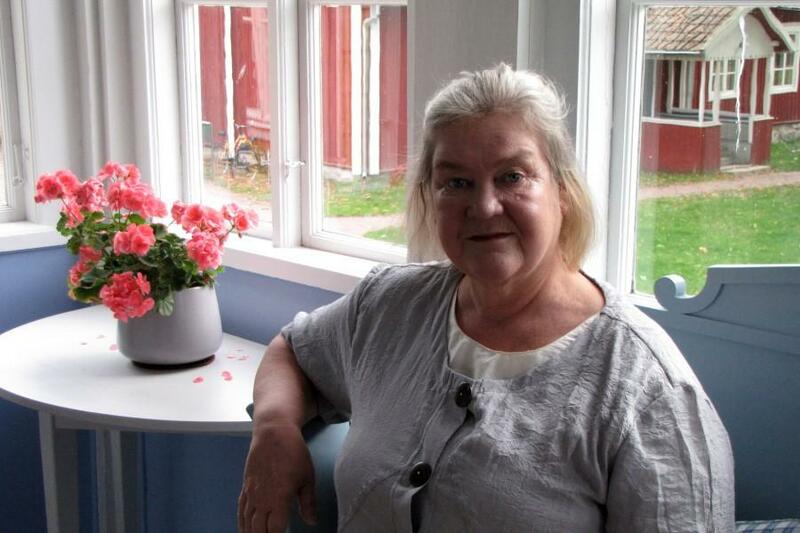 “I arrived at the Saari Residence in the autumn, when the geese were beginning to migrate. The honking of the geese was the only thing to break the silence, which took some getting used to after the bustle of life I’d just left behind in Helsinki. Saari and its surrounds offered peace, and space, ideal for writing. During my stay I worked on a children’s story, which will be published in April 2011. It tells the story of a girl named Mercedes who finds a cow in her bathtub. The book reprises my favourite themes of “outsiderness” and otherness. During my stay I also made a good start on a novel, a story of family life in the early 1960s. 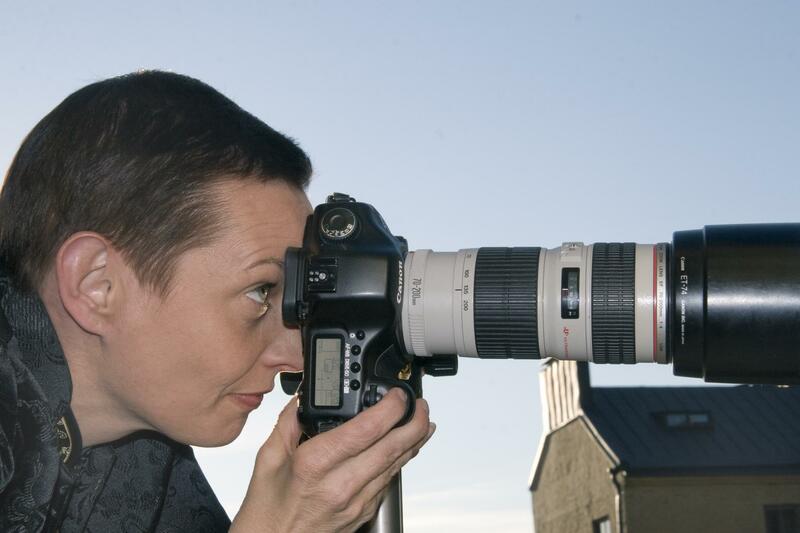 Leena Parkkinen studied film scriptwriting and advertising design at Turku University of Applied Sciences, and creative writing at Kristine korkeakoulu (the Critical University) in Helsinki. She has worked in publishing, advertising and in the service industry. 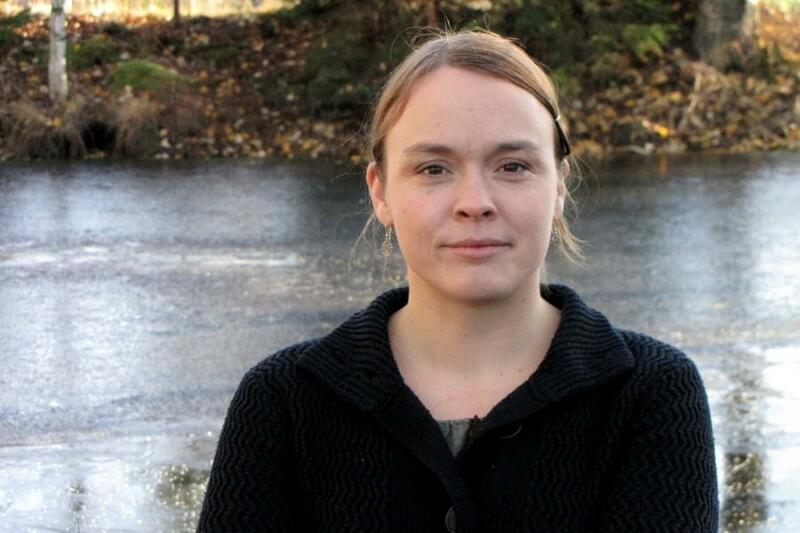 In 2009 her novel Sinun jälkeesi, Max (After You, Max) won the prize for the best debut book of the year from the national daily the Helsingin Sanomat, and also won the Leila Hirvisaari Foundation prize and the Akateeminen Kirjakauppa prize. Translations of the book into several languages are currently underway. 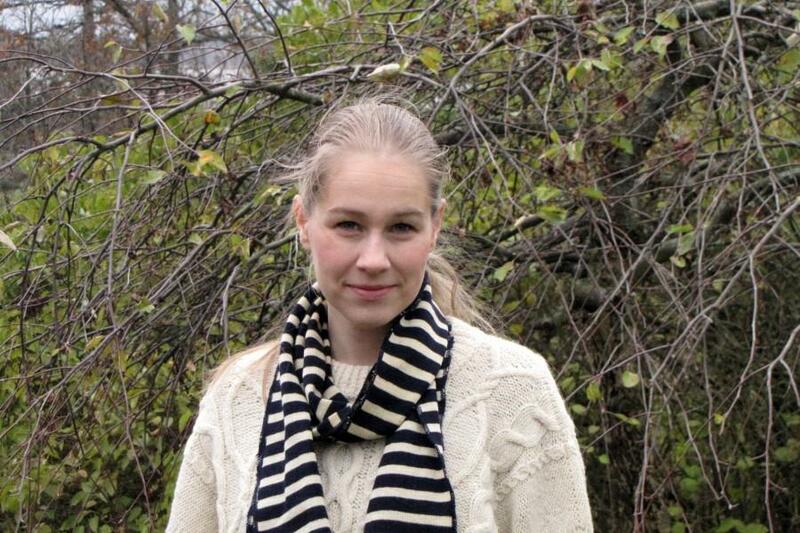 Leena Parkkinen worked at the Saari Residence in September and October 2010. “I regularly use photographs in my work, so that the place where the picture was taken is present always in the finished piece. The themes of searching, permanence and change recur throughout my work, and are evident also in the photos I use: they’re usually quick snapshots taken on the move, quick records of temporary states and transitions. I strive to give a disembodied feel to my works; they’re usually fleeting in some way or other. Objects have a tendency to turn to dust over time. Hannele Rantala worked at the Saari Residence in September and October 2010. “I’m an artist from the island of Norrskata off the coast of western Finland. The frame of the piece I’m working on at the Saari Residence is formed by logs of wood chewed on by the wee people of the forest, windfalls, and washed-up acorns. To these elements I’ll add things people have used that were salvaged from buildings and demolition sites. I straighten up the corners and get the lines right with the aid of almost magical working tools. I measure ants’ steps and the astronomer’s journey under the bark. 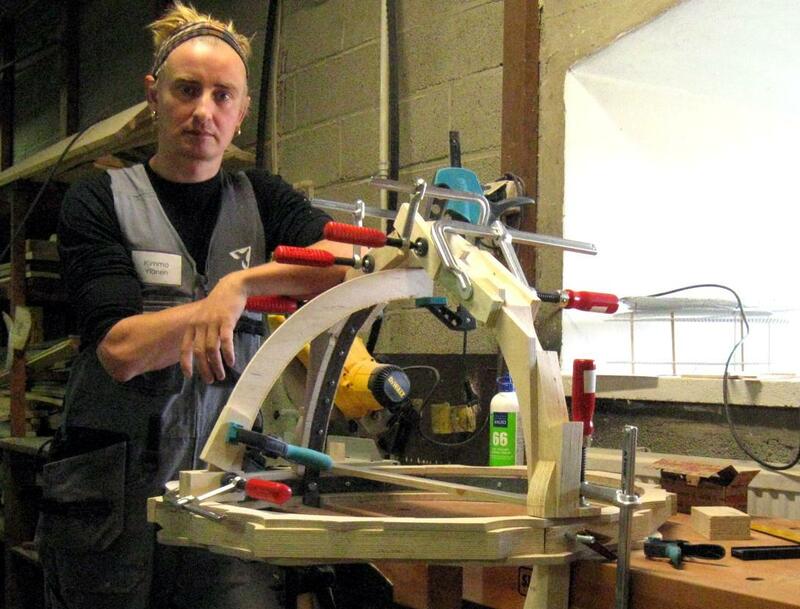 I seek out answers to the big questions, all the time enjoying working with the wood and piecing the puzzles together. Kimmo Ylönen worked at the Saari Residence in September and October 2010. ”I came to the Saari Residence with preliminary notes on the sculptures I planned to produce, sheafs of paper, ink, and rowan branches. What unified this jumble of things was my central theme, birds. And what was I greeted with on my arrival but the migratory song of whooper swans! Paavo Halonen worked at the Saari Residence in November and December 2010. 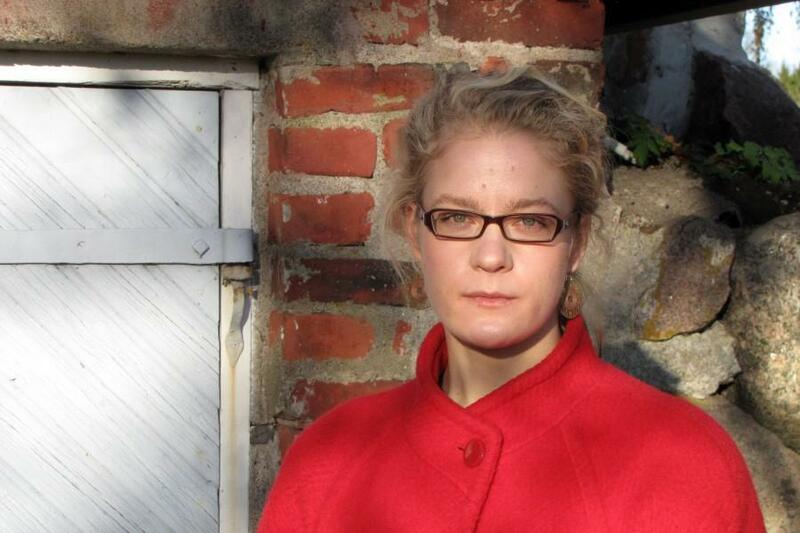 Helsinki-based Kaisa Ijäs’ first poetry collection Siskot, veljet (Brothers, Sisters) was published by Teos in 2009. “At the Saari Residence I worked on my follow-up anthology, worked on Finnish translations of Russian poet Aleksandr Skidan, and completed a novella for an anthology of women’s literature”. Kaisa Ijäs worked at the Saari Residence in November and December 2010. “At the Saari Residence I focused on laying the foundations for my next solo work. I concentrated mainly on choreography and producing images during my time here. The bulk of my work as a performer consists in exploring and capturing on film the figures that live inside my body and mind. Into how many selves are each of us divided, and where do the limits of each self lie? In my work I strive to present an overall composite image by distinguishing between these various inner selves and developing a conversation between them. I use different methods and technologies, such as video and slides, to produce my images. Experiments with the movements of reflected images make up a large part of my work, the main aim being to better understand how movement enhances the meanings of the images. The work will be premiered most likely in late 2011”. 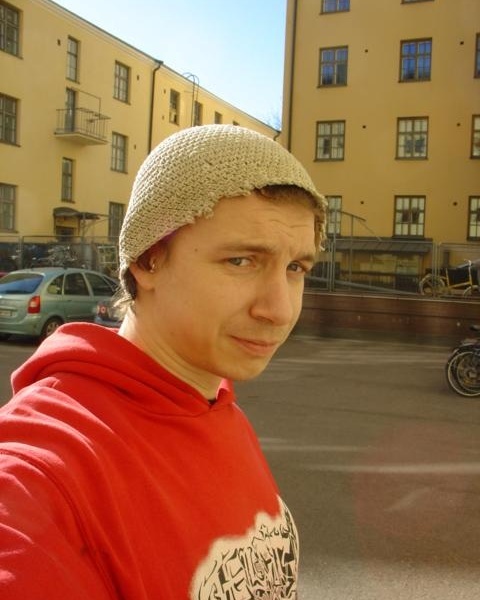 Jaakko Jokio worked at the Saari Residence in November and December 2010. 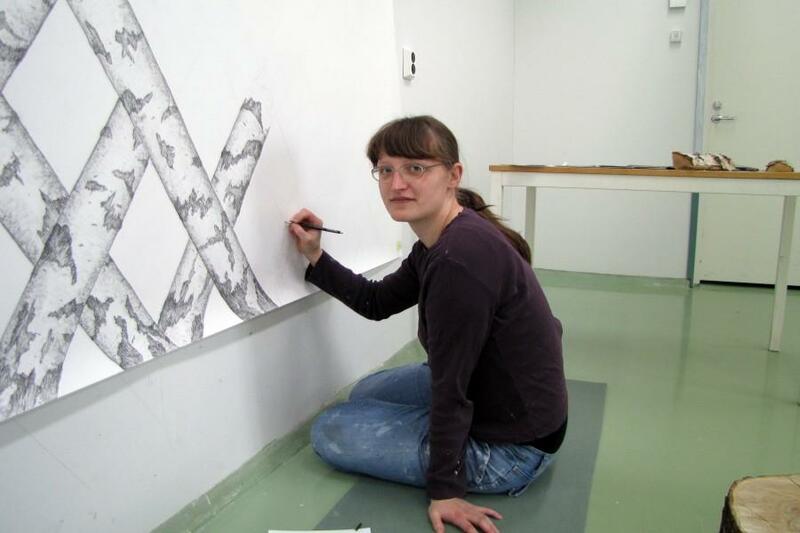 Milja Laurila worked at the Saari Residence in November and December 2010. 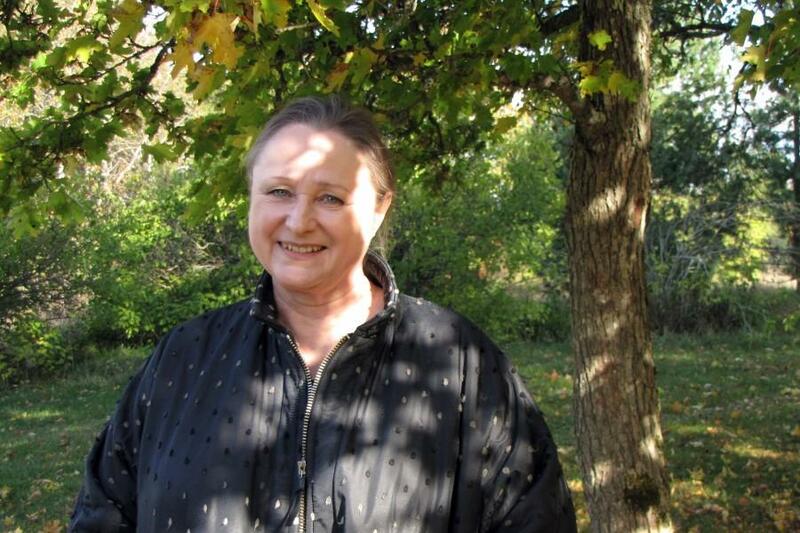 Hanneriina Moisseinen (s.1978) has published two previous works, Sen synty ja muita Vienan hävyttömiä ja hulvattomia starinoita (The Birth of It and Other Shameful and Side-Splitting Tales from the White Sea (with Markku Nieminen, 2005), and Setit ja partituurit – Häpeällisiä tarinoita (Seta and Partitures: Shameful Stories, 2010). Moisseinen won first prize at the Nordic cartoonists’ competition in Kemi in 2006. “At the Saari Residence I began work on my third work. It will be comprised of installations and a subsequent book on the theme of how a certain person mysteriously disappeared from this world. The person spent an evening on an island and wandered into the woods in the middle of the night, and was never again heard of”. Hanneriina Moisseinen worked at the Saari Residence in November and December 2010. “I write for children and young people, and my most recent publications are Viima (literally frenzy, rage, fever) (WSOY, 2006) ja Usva (Haze) (WSOY, 2009). The publishing rights for my works have been sold to eight countries so far, and in 2011 translations will be published in Danish, Italian, and Swedish. Viima was published in the USA in 2010, as School Possibilities. I addition to writing I do photography and various other jobs in the field of literature. I divide my time between Turku and Helsinki, and my work as a writer also has had to adapt to the demands of a continually mobile existence. The chance to work in the stable and tranquil environment of Saari Residence has therefore been a luxury for me. During my stay I worked on a children’s novel entitled Karikko (On the Rocks). It’s a story of siblings and their unhappy life, their flight from home and what becomes of them. They go into hiding while on holiday at the seaside, and spend their time trying to remain out of sight. However, they can’t live along the shore forever. The maritime setting has led me to think so much about the sea that I found myself drawn to it – here I am at the Saari Residence. The countryside here is a combination of actual, mythical and dream-like landscapes, and has been a rich source of inspiration for my writing. The ocean carries both general and personal meanings, and the shoreline is the place where many beginnings and endings have taken place. 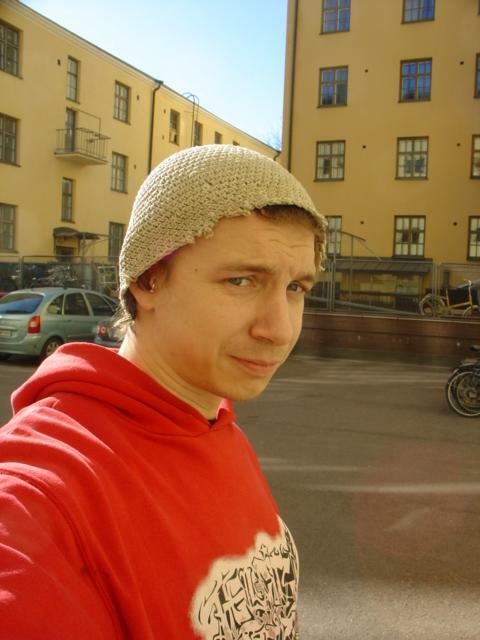 Seita Parkkola worked at the Saari Residence in the end of the year 2010. “We are working on a visual score for a four-part series of dance videos. This score, which combines different techniques, works not only as a guideline but also documents the work process, which will later be incorporated as part of the work itself. Now, in December, we go back to the beginning, to the place where the first performance will, in time, take place. The first links of the chain are formed by the stone work Wa by Mineo Kuroda situated in the park of the Saari Residence, the work Vaeltava valo (Roaming light; Satu Rekola, Jonimatti Joutsijärvi and Ulla Koivisto) which combines movement and poetry, as well as contacts formed at the Residence (Kimmo Ylönen). Ulla Koivisto ja Kimmo Ylönen worked at the Saari Residence in the end of the year 2010. “I’m a veteran artist who works mostly with paint, but I also work do graphic art and architectonic sculptures occasionally. I work as a part-time instructor at the Institute of Fine Arts of the Lahti University of Applied Sciences, and am currently chair of the board of the Finnish Artists’ Studio Foundation. I’m a postgraduate student in the Faculty of Arts on the University of Lapland, in my work for the doctorate includes the PhD thesis itself and two broad bodies of exhibited work. The PhD thesis consists of two parts: small-scale studies on the cultural history of the centre of the Earth, and an annotated document of my own artistic work. I worked on these projects during my stay at the Saari Residence”. Ilkka Väätti worked at the Saari Residence in the end of the year 2010.